This nocturnal gecko was graciously posing for me during daylight hours. 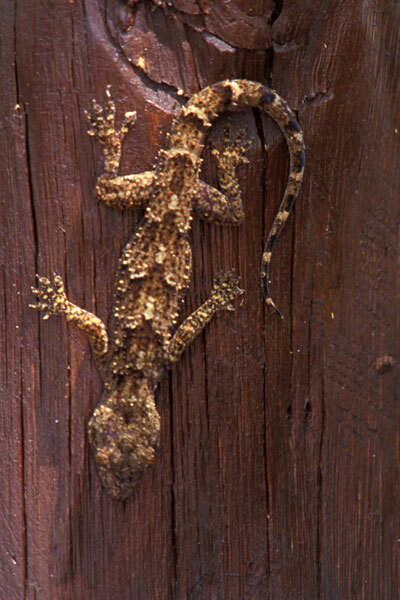 I originally ID'ed this as Hemidactylus mabouia, but an African herp expert on iNaturalist convinced me otherwise. 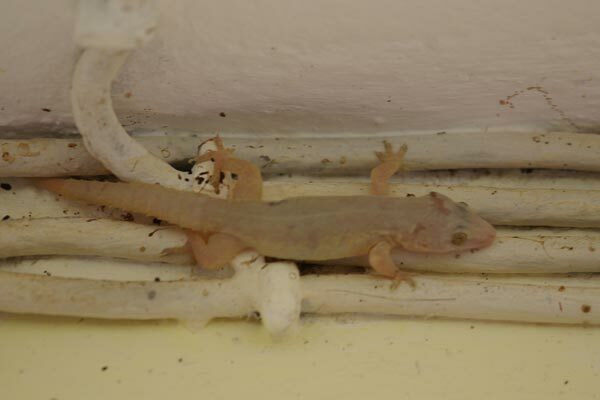 This pale and rather unappealing gecko was hunting down the local insect population at the Nosy Be airport snack bar. This species is quite similar to the cosmopolitan Hemidactylus frenatus. The identities of various gecko populations in Madagascar hasn't been thoroughly studied, so this might end up being H. frenatus after all.